Please bring your insurance card and photo ID with you to your appointment. 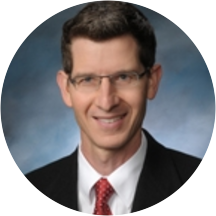 Robert Davis is an attentive and dependable orthopedic surgeon serving the community of Nashua, NH. Dr. Davis attended West Virginia University, where he received his medical degree, and completed his residency at the same university. He also completed his fellowship at Graduate Hospital. Dr. Davis is a part of Granite State Orthopaedics and is board certified by the American Board of Orthopaedic Surgery. He sees patients for orthopedic consultations, as well as other common and specialized reasons. He is also affiliated with Southern New Hampshire Medical Center in Nashua, NH. Dr. Davis is dedicated to helping patients receive the treatment they need so they can enjoy a positive and fulfilling lifestyle.